The world watched in March 2005 as lawmakers and judges debated and decided whether Terri Schiavo would live or die-then watched as she was forced to die by dehydration over 13 days. 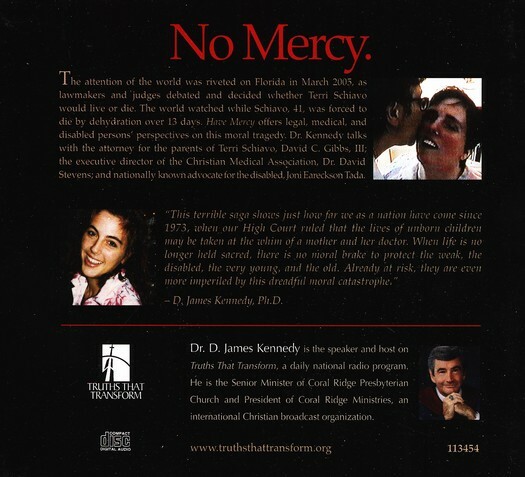 Have Mercy offers legal, medical, and disabled persons' perspectives on this moral tragedy. 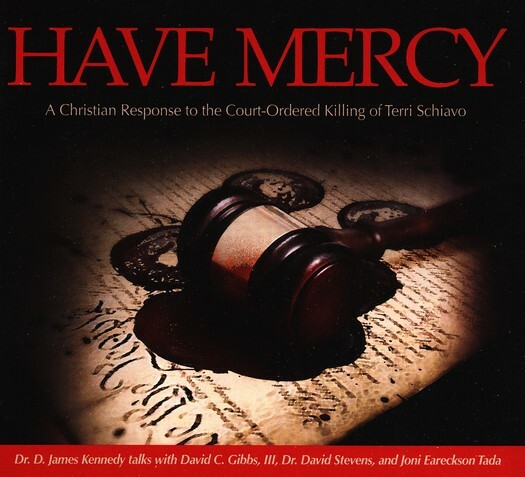 Features interviews with Terri Schiavo's parents; David C. Gibbs, III; Dr. David Stevens, the executive director of the Christian Medical Association; and nationally known advocate for the disabled, Joni Eareckson Tada. 2 audio CDs.